There are around 10 different kinds of weddings. 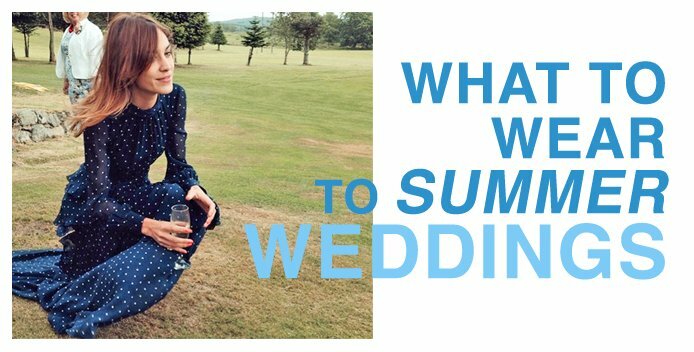 That means that in 1 summer wedding season, you need 10 different dresses. … but ain’t nobody got time for that. Enter: The polka dot dress. If you’re anything like me, when you see something described as “mature,” you run. 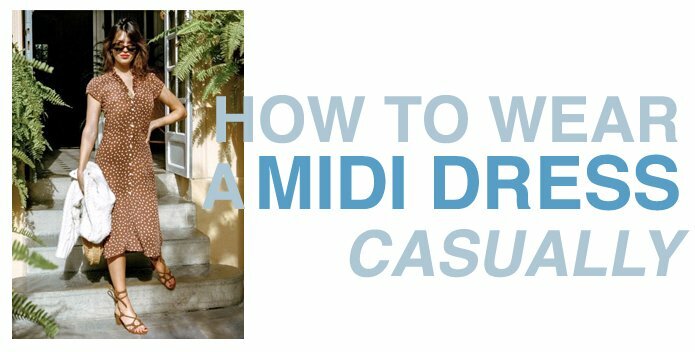 Midi dresses are more reserved than a short sundress, but that doesn’t mean they’re any less youthful. Midis offer a certain subtlety that a mini sundress can’t. That means we can have a bit more fun styling and wearing it. OK, I know, I know, I know… Flip flops, UGH gross. While they don’t seem ~fashionable,~ flip flops are practical for rainy summer weather and lazy days… and they totally can be fashionable if you stop overthinking it.